Tonight i spent a few hours trying out different brushes and fonts and trying to get to grips with a few of the features that are in photoshop. I am not too good when it comes to the likes of photoshop, i know design is a very big part to do with building websites. If you can go to someone and quote them a price for a website you want to be able to say i can design and code it for ‘X’ amount of money. You dont want to have to say well i can code it but you need someone else to design it, sure it would be ok to do that but it would look better if you could provide the full package when choosing to build a website for someone. This is why i want to be able to use photoshop, so i can slowly learn how to do a few simple things that would really help out with the appearence of a website, such as nice glossy logos or banners. You can in fact design a full website template using photoshop, this would require a lot of work. I went looking for some nice fonts and brushes tonight and found a few good sites with loads of different font types and brush types to choose from. For some really great brushes i went to a website called Brusheezy, they have loads of brushes and patterns that you can download for free. And for fonts i went to a site called ReFont.com, this site has hundreds of different fonts that cover a wide variety of categories from horror and retro to gothic and calligraphy and a lot more, its great for getting loads of free fonts. I am at the moment trying to design a header for TheEntertainmentClam, that will not only be a logo but will have a full background of images that will suit the content on the website also. Last friday, my class was given an assignment to do. The focus is for us to learn about the Linux operating system and learn how it works and in the end be able to compile a report and be able to demonstrate something that we have learned from working with linux. Our project is group work and therefore it will demand much higher quality than if it was to be done by an individual. I am looking foward to learning a bit more about linux. I attempted to use linux before but i had no idea what i was doing. Over the past few months we have been learning Unix code, unix is basically what linux is all about. Linux is an open source alternative to other operating systems such as Windows or Mac. Unix runs by a user inputting command lines one at a time, this is a long process but can get quick results. Linux has two methods of usage, first you can use Command Line Interface (CLI) which is the same as unix and you can also use Graphical User Interface (GUI), most people prefer to use the GUI as they can see what they are doing more clearly. For doing more advanced things with Linux you would tend to use CLI. 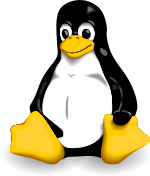 Linux is most commonly used on servers. It is also found on a lot of technology such as Mobile Phones, Motorolla and Nokia are to name a few. Also a very popular tv service called Tivo uses a modified version of linux. Linux is provided free of charge to anybody in the world, what makes it so popular is that you can view and change the source code as much as you like, Linux is distributed under the GNU General Public License (GPL). Linux can be Downloaded from many places all over the internet, it comes in many different forms, people take the base design or one that someone else has allready made and alter it and add some unique things to it to make it there own and then redistribute it again under the GPL, of course for free! For people from Ireland why not use the Irish custom version available here. And for more info on the Linux OS and for applications you can run on Linux check out Linux Online. Sure why not give it a shot you can always remove it if you dont like it and you could always Dual-Boot it or run it on a virtual machine using VMware for MAC or using VirtualBox for Windows. I am looking foward to testing out this OS and hopefully this time i might be able to understand some more of the code line features a bit more. Next i tried linking my playstation to my pc using an ethernet cable just to see if it might recognise some type of folder that i had set for public sharing, that too would not work. At this stage i didnt know what to do, but when i start to try to do something i have to keep at it until i get it done, if i dont find out how to do it i feel that it got the better of me, and after all why should technology get the better of a human?, we designed technology therefore we should know how to control it. So of course i continued to try different methods of linking the two together. There is no messing about to do this it just does it by itself, so i went into windows media player and clicked on the drop down arrow in the library section and clicked ‘Media Sharing’,then up popped a box with an unknown device, this was the playstation so i clicked allow so it would have permission to access my files, then i went back to the playstation and there i could see my pc listed. Sometimes when you have just set up the connection with the pc the playstation will say that it has not got permisson to access the pc, just restart your playstation and it will work perfectly. Also before doing this you must have Windows Media Player 11 or higher. By having your Playstation linked to the pc you can also stream music and video across and you will not need to save it to the hard disk, however if you are like me and got one of the limited edition 160gb playstations then you will have no worries about saving videos to the hard drive. You might be thinking instead of trying to link the pc to the playstation to transfer files why dont you just use a memory stick or a portable hard drive. I did try this first, when i put my memory stick into my playstation it recognised it straight away i was happy, then i clicked to go into it and it said no data found, i knew there was data on it so there had to be something wrong. It wasnt until later that i found out that instead of clicking ‘X’ to open the memory stick, you have to instead press ‘Triangle’ button and choose display all, then it will open up and show you your files, this is really easy to do and i wish i found out sooner how to do it, but i still prefer to set it up wirelessly. Also some different types for portable hard drives cannot get recognised by the plastion, for example, the seagate freeagent, this is the one i was using and it didnt work. I done this using windows xp, i am sure it will not matter if you use xp or vista. Tomorrow I have an exam in Database Programming, this involves creating tables and updating, etc. We are currently learning the basics of SQL and I think it is interesting enough. Since I started this class this semester I have become more familiar with how to view information in my database. Not that I would be editing much at the moment in SQL, however in the future it will be a great resource to have for when I make a website. I think in my third year (Next Year) it will be required to be used when making our final project, which will be to create a website, using all the skills and knowledge we have learned over the years in the course. In tomorrows exam however I am not too worried, I am confident that I will be able to pass it, and as an added bonus the exam will be open book so I can bring all my notes in with me. When I am at home I use XAMPP to practice using SQL, with XAMPP it allows you to do many things such as install sites offline, it is basically a server on your pc, I made a post last year about how to set up XAMPP, check it out here to find out how. I have been working hard on my new design for The Entertainment Clam tonight and have made a lot of progress. When I am finished it will be completly different. I found a basic design for the site a few days ago but it was so badly put together I have decided to scrap it and make my own, I suppose that by making my own I can have the satisfaction of saying “I Designed That!”. I wouldnt call myself anywhere near an expert when it comes to coding but I definitly can find my way around code, it just takes a while to get used to it. I need this for use with my video site because it is running on a pre-made video script, by now since I have been working on the site for a while i now know my way around it. I find it a lot easier to edit the new design for the site this time round. The last time I had no knowledge of where everything was in the script, but now I do . I have now made the site a bit easier to navigate, now when you view a video you can view more videos by that artist or in the same category, this is great if for example you discover a new artist you like, you can simply have a quick look at the other songs on the site by that artist, also you can view related videos to show some other artist’s that you may like too . I look foward to the new theme being put live once it is finished.